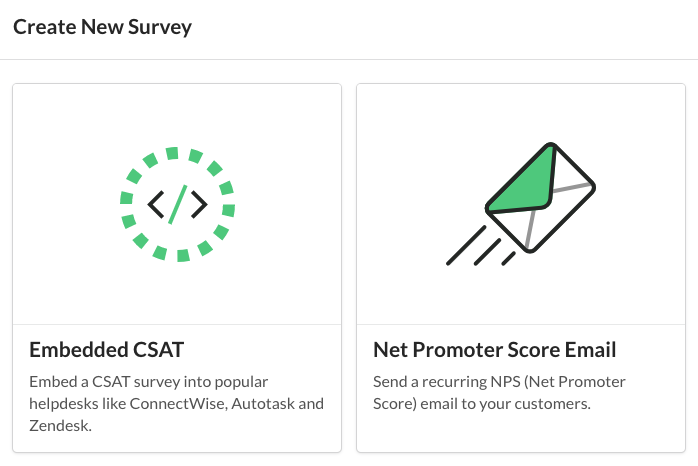 The Simplesat team can run this task manually for you. Soon it will be available in the dashboard. Once activated, Simplesat will import all contacts from your Autotask account. Every 24 hours, we'll sync to make sure all contacts are up to date, and new ones are added. First, you can create the "audience" that you'd like to receive your quarterly emails. To do so, add a rule and enter the value that should match. 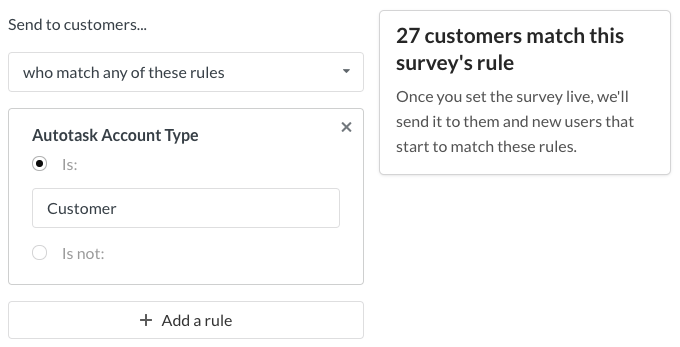 For example, the rule below creates an audience for all customers who match Autotask Account Type = Customer.